Cinema feeds on stories of love and death, but how often do filmmakers really offer new or challenging perspectives on either? Michael Haneke's 'Amour' is devastatingly original and unflinching in the way it examines the effect of love on death, and vice versa. 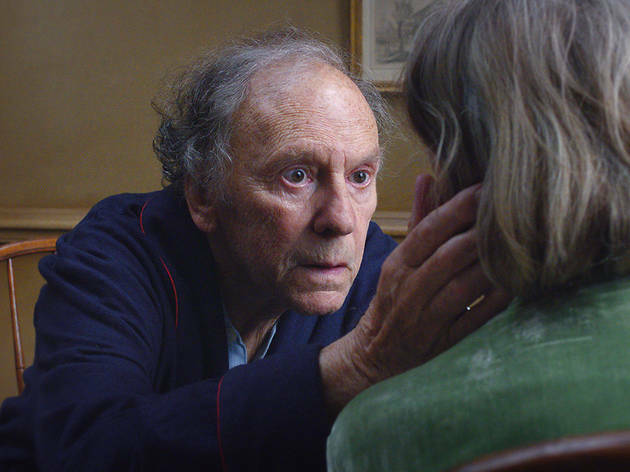 It's a staggering, intensely moving look at old age and life's end, which at its heart offers two performances of incredible skill and wisdom from French veterans Jean-Louis Trintignant and Emmanuelle Riva. The director of 'Hidden' and 'The White Ribbon' offers an intimate, brave and devastating portrait of an elderly Parisian couple, Anne (Riva) and Georges (Trintignant), facing up to a sudden turning point in their lives. Haneke erects four walls to keep out the rest of the world, containing his drama almost entirely within one apartment over a period of some weeks and months. He asks hard questions: what do love and companionship mean when one half of a couple is facing the end? How can we cope? What's the right way to behave? Can anyone else understand what you're going through? Is life always worth living? What role, if any, do kindness and compassion play? And what, actually, do those words even mean in extreme circumstances? A winter light and a sense of half-dark, fading afternoons pervades the film. The couple's flat is lit by the odd table-lamp but appears to have slipped into a state of semi-darkness. This is a drama played out quietly under grey clouds. There's no storm, just gradual changes from one day, week or month to the next. The only place we see this couple outside their flat, right at the film's start, is at the theatre, framed from the stage. Haneke then reverses the perspective for the rest of the film. The couple's flat becomes a theatre for their stories: past, present and future. There are hints of threats from the outside. The film opens with a door being broken down; the lock is damaged in an attempted burglary. And Georges dreams of being attacked outside in a flooded corridor. But these dangers only remind us that the real threat here is from within: lives are changing, and so too is the meaning of love, intimacy and kindness. Haneke rejects the idea of death as a communal experience and presents dying as intensely isolating. Georges and Anne’s daughter (Isabelle Huppert) and son-in-law (William Shimell) visit, but their own feelings and experiences are increasingly disconnected to what's happening in this apartment. Haneke explodes the myth of death as a public event, something to share, something around which to weep and emote. Here, death creates a fortress, and it feels piercingly true. He faces the realities of sickness – washing, mobility, going to the toilet – but his mission is not simply to present a realistic portrait of the end, even though that's part of the process. More than that, he wants to explore the emotions and instincts felt on both sides by this couple – pride, despair, impending loss, empathy and its limits. There are strong emotions at play, but also an intense pragmatism. Georges has made a promise to Anne: 'Please never take me back to the hospital... Promise... Promise me.' Among so many other things, this is a film about loyalty and being true to your word right to the very end. 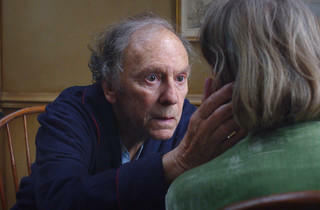 'Amour' is a devastating, highly intelligent and astonishingly performed work. It's a masterpiece.